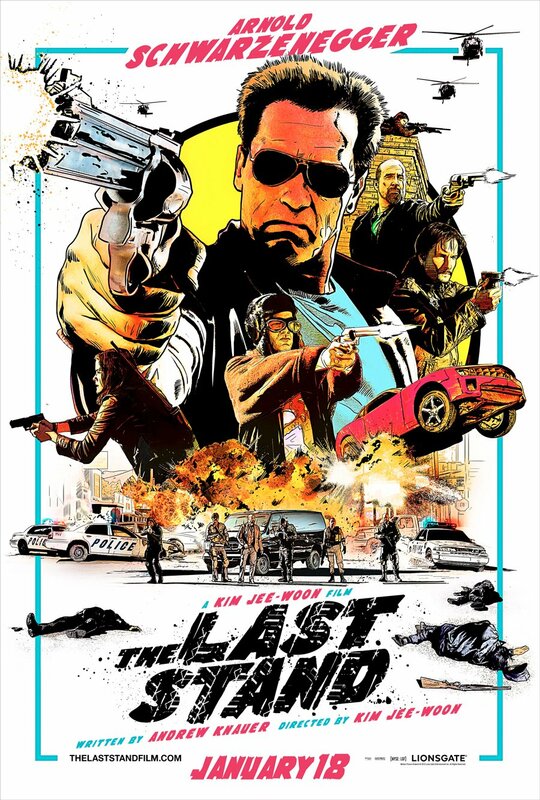 Next week Arnold Schwarzenegger is back onscreen in his first starring role since becoming Governor of California, and he seems to have brought all the firepower and muscle in the world along with him. 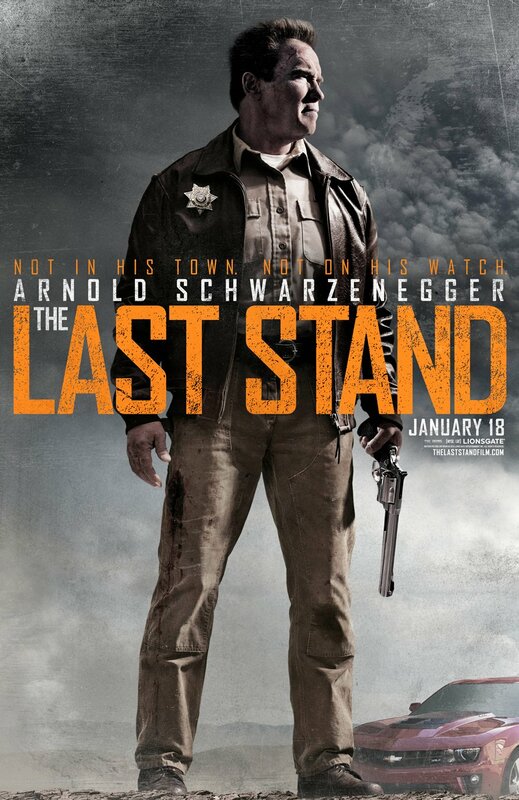 In The Last Stand he plays the sheriff of a Texas border town becomes, well, the last stand of defense in the United States about a drug cartel leader who has escaped custody. 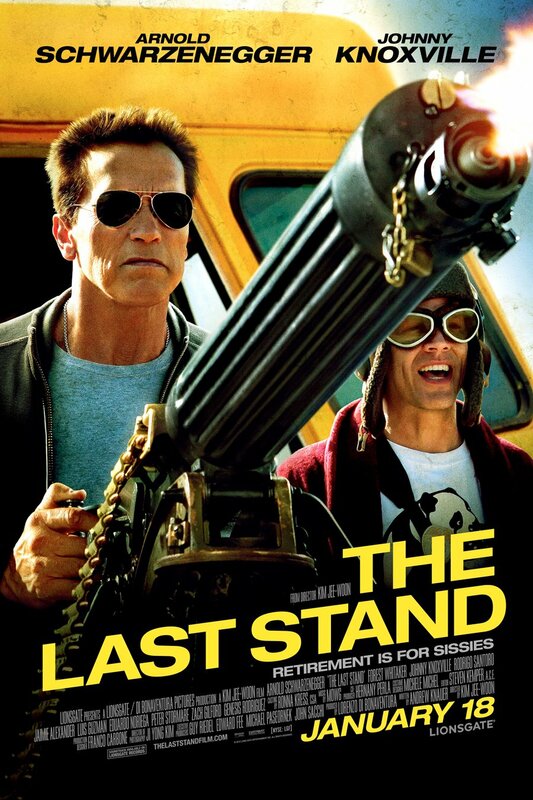 Set of DVDs (three DVDs of Arnold films). You can see images of all those prizes in the gallery below. How do you enter? Just click on over to our Facebook page, "Like" it if you haven't already, and then leave a comment on this contest post. 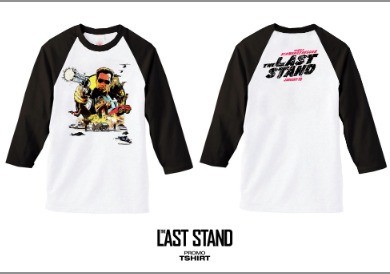 Tell us why you're looking forward to The Last Stand and we'll pick one winner and one grand prize winner at random. The contest ends at 12 am EST on Monday, January 21st. If you enter, please make sure we can contact you via Facebook. If you have it set to where we can't message you, your prize will go to somebody else.